With the growing popularity of stand up paddle boarding, SUP racks have become one of the fastest growing rack categories. 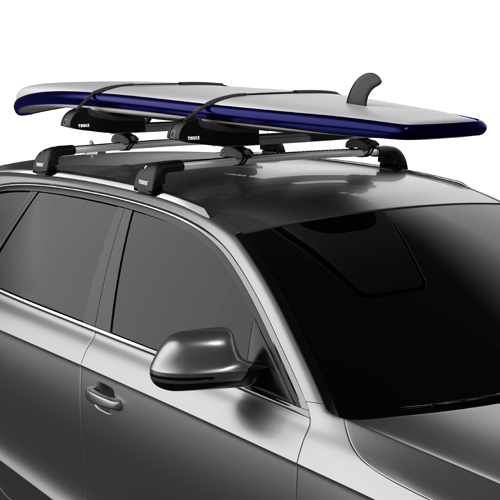 Thule Stand-up Paddle Board Racks and Carriers, Yakima Stand-up Paddle Board Racks and Carriers, Malone Stand-up Paddle Board Racks and Carriers and SUP Accessories are on sale, in stock and available for immediate shipping from RackWarehouse.com. 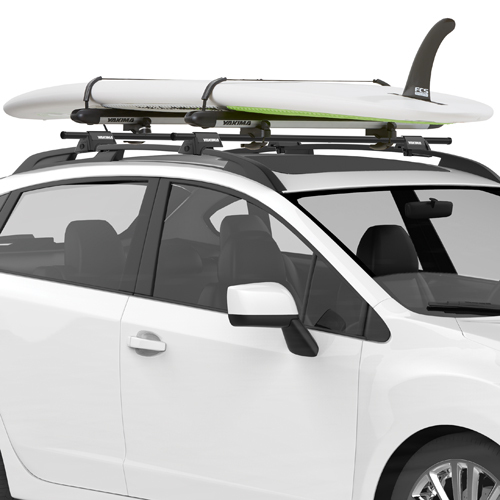 Thule SUP Taxi, Malone SaddleUp Pro and Yakima SUP Brah are 3 of the more popular stand up paddle board rack attachments. If your budget is a little tight, rack pads and tie down straps are a proven, sturdy option. 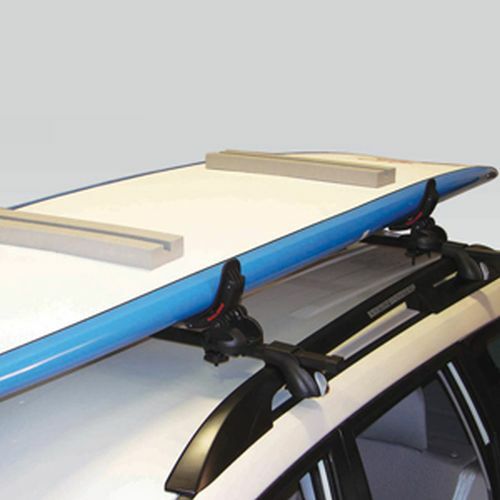 Yakima and Thule offer an assortment of rack pads that fit round bars, square bars and most factory rack crossbars. If you have difficulty loading your gear on a roof rack, you should consider a Sport Trailer.